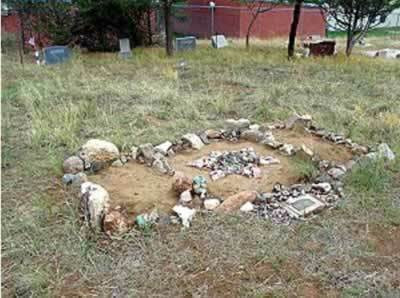 at the graves of the long forgotten children. I said Kaddish. Non-Jewish hands had generously, kindly, gently marked where they lay with multicolored stones from the mine. For the most part, it is the Jews who no longer remember them. "It was not the easiest thing to do, wait on the Messiah and live in Russia, but it was possible. We Jews have been waiting almost 1900 years, a long time. We endure. So we did not have the fanciest this or that. We were poor. We made a life. But things changed under the new Czar Alexander III. It became so bad waiting for the Messiah in Russia convinced many of us that we could wait for the Messiah somewhere else. America, we heard, wanted people. They even welcomed Jews. We would go to America and wait for the Messiah there. Most of the village left, almost within a week, going to the West, going to the new Promised Land. The Christian villagers, our friends, amongst whom we had lived for hundreds of years, lined the streets and jeered as we trudged by. Our few portable possessions were on small wagons or on our backs. The children, we linked to us by ropes so they would not get lost. Our neighbors did not miss us. We, on the other hand, missed the few miserable hovels and garden plots we had called home. The memories play through our thoughts, even today. In America, our new wonderful home, our neighbors did not care very much if we were Jewish or not. America was different. America is different. America is very confusing to a Jew from Russia. In America there are no pogroms, no anti-Jewish laws and no government encouraging Jew hatred. We are free to be Jewish or not be Jewish here. In America, I peacefully wait for the Messiah. I will tell you a secret William, as I get older and the Messiah takes longer to get here, I am getting a little bit impatient. Mishah Rabinowitz  as told to his son William, 1923. The land my people needed in order to roam its secrets in reverence. time that we could not remember. The rain washed it and the fire was kind in its fury. Emanuel H. Saltiel was a Portuguese Jew from New York. He came to Colorado in 1867 with money and influence. Learning that Gold Tom lacked both capital and mining ability to work his large silver claims, Saltiel purchased Thomas' claims at a very low price. Saltiel then used his own money to become the largest and most successful silver mine developer in Fremont County. 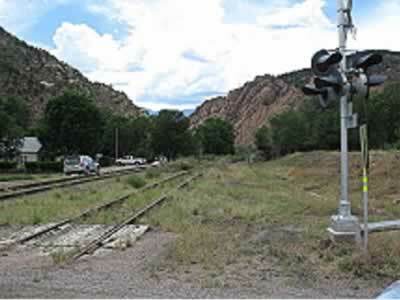 He used his influence, with the Denver and Rio Grande Railroad, to have the newly christened whistle stop town near his holdings made into a major rail depot to supply his mines. He called the town Saltiel after himelf. The name never stuck. The locals preferred the name Cotopaxi given by Gold Tom. Ironically, Gold Tom was shot to death on the steps of the Saltiel general store in Cotopaxi by Saltiel's business partner, A.B. Hart. The name of Saltiel is gone but the memory of Gold Tom remains with his legacy. Cotopaxi is located on the banks of the Arkansas River flowing at 6,700 feet of elevation. Today, the river is a magnet for white water enthusiasts who thrill at running the rapids towered over by dramatic mountain walls that open and close between Salida and Canon City. 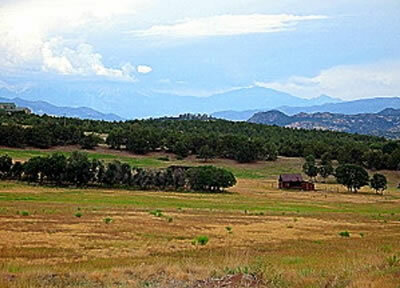 Large swaths of land climb away from the unincorporated collection of modest houses, general store, post office, school and Sinclair Gas station that constitute Cotopaxi in 2008. A narrow paved county road, 1A, directly in back of Cotopaxi General Store with the wooden cigar store Indian and squaw out front, climbs 1500 feet in a bit over four miles, before disappearing. The land bursts open to dramatic vistas of rolling high country and breathtaking distant snow capped mountains, the Sangre de Cristo range, (the Blood of Christ range). The mountains and high country are beautiful to look at, difficult to live on, impossible to farm, very rocky land. It was here the Jews were sent. It was here on land that Emanuel H. Saltiel had title to, not free homestead land, that Jewish Russian refugees came to reshape their lives as Jewish farmers in a free America. They had entrusted the land registration fees to Saltiel's representative. He would register what they thought would be their government Homestead land in Canon City thirty five miles downriver. It was never done. The refugees never did have title to the land. Cotopaxi was not the first American Jewish agricultural effort. It would not be the last. Agrarianism has deep American roots. America, until the 20th century, was a country long on land and short on people, short of labor. Agriculture is the most healthful, most useful and most noble employment of man. " "There seem to be but three ways for a nation to acquire wealth. The first is by war, as the Romans did, in plundering their neighbors. This is robbery. The second by commerce, which is generally cheating. The third is by agriculture, the only honest way, wherein man receives a real increase of the seed thrown into the ground, in a kind of continual miracle, wrought by the hand of God in his favor, as reward for his innocent life and his virtuous industry. " M. Thomas Inge philosophically explained agrarianism in his 1969 book Agrarianism in American Literature. Though speaking about America the understandings are universal. "Cultivation of the soil provides direct contact with nature; through the contact with nature the agrarian is blessed with a closer relationship to God. Farming has within it a positive spiritual good; the farmer acquires the virtues of "honor, manliness, self-reliance, courage, moral integrity, and hospitality" and follows the example of God when creating order out of chaos. The farmer "has a sense of identity, a sense of historical and religious tradition, a feeling of belonging to a concrete family, place, and region, which are psychologically and culturally beneficial." The harmony of this life checks the encroachments of a fragmented, alienated modern society which has grown to inhuman scale. Mordechai Emanuel Noah was appointed by President James Madison consul to the Kingdom of Tunis, 1813. Noah worked diligently to free slaves taken by the Barbary Pirates. His presence was objected to by the Moslem nation not because he was an American but because he was a Jew. Secretary of State James Monroe removed him because his religion was "an obstacle to the exercise of [his] Consular function." Noah's removal caused outrage among Americans, Jews and non-Jews alike. Seven years later, 1820, Noah proposed, and modern Zionism later echoed, a solution to Jewish exile and suffering. He proposed a Jewish homeland at Grand Island in the Niagara River, near modern day Buffalo. It was to be called "Ararat," after Mount Ararat, the Biblical resting place of Noah's Ark. Noah erected a small monument on the island. The monument read "Ararat, a City of Refuge for the Jews, founded by Mordecai M. Noah in the Month of Tishri, 5586 (September, 1825) and in the Fiftieth Year of American Independence." Nothing more became of the project. The first American Jewish agricultural colony in the United States was founded at Wawarsing, New York, in 1837. Located approximately 30 miles west of modern Poughkeepsie, N.Y., the farming colony was founded by thirteen idealistic Jewish familiesled by Moses Cohen. It was named Shalom. They left New York City to make their living on the land as farmers. They struggled for five hard years. Eventually they were forced to supplement their incomes with light manufacturing and commerce. Other later Jewish agricultural projects also engaged in light commerce and manufacturing, as well as agriculture, to survive. Shalom failed in 1842 and was abandoned. A recent visit by a local historian found nothing but a capped well that remained of the Jewish presence. A year later, (1843) Julius Stern of Philadelphia advanced an even bolder idea. Writing in the nascent American Jewish journal The Occident, Stern proposed that a Jewish agricultural colony be established in the Northwest of the United States. Stern's hope was that a colony would grow into a successful haven for all persecuted Jews. Ultimately he dreamed it would eventually become a part of the American union of States. The call to action was not responded to. Simeon Berman, founded a Jewish Agricultural Society in Cracow, Poland in 1852. Due largely to in-grained anti-Semitism, it failed. Immigrating to the U.S., he unsuccessfully tried persuading Jews in New York, Cincinnati and St. Louis to become farmers. His faith in Jewish agrarianism unshaken, Berman published a pamphlet in1865, "Constitution and Plan for the Founding of a Jewish Agricultural Society". Berman envisioned Jewish independence by returning to the land. He saw new cities created by Jewish farmers. He envisioned Jewish communities with Jewish schools led by English, German and Hebrew teachers. Berman's ideas and ideals were rejected by American Jewry. Frustrated, he left America and moved to Palestine where he founded the Holy Land Settlement Society in 1870. His ideas failed in America, in the Diaspora. Jewish agriculturalism did not fail in Israel. American Jewry did not respond to Berman. They saw America as the New Jerusalem. The eighteenth century was the age of enlightenment for Europe. The nineteenth century was the age of hope and emancipation for European Jewry. It was also the age of Jewish delusion and disappointment. Napoleon's canons broke down the physical ghetto walls. The Haskalah, the Jewish Enlightenment, ripped down the walls of Jewish intellectual insulation and isolation from the rest of the Europe. Promising Jews social, economic and political freedom if they will but embrace the modern world, many Jews trimmed their beards, cut off their side locks and emerged from the ghettos and Yeshivas. Many grasped for the promised brass ring of contemporary opportunity. Nineteen hundred years of waiting for the Messiah was a long time, many liberal Jews said. They no longer were willing to just wait for redemption and liberation. Conservative members of the Jewish community bitterly opposed the Haskalah. The Maskilim, the compromisers, tried to bridge the differences and slammed headfirst into the traditionalist world of Jewish orthodoxy championed by Hassidism. In the end the Maskilim were reviled by both Liberal and Conservative Jews. As much as the French revolution had changed Europe forever access to the world of knowledge and thought outside of Talmud and Torah caused upheaval and discord for Jews. It still is not resolved. Enlightenment bonded with the Haskalah bringing Jews and progressive Christians together to try and end millennia of anti-Semitism. Jews were urged to shed their medievalism, learn the local language and adopt their country's customs and culture. Searching for methods to end the Jewish problem, Jewish utopian agriculturalism, especially in Eastern Europe and the Russias, was promoted as a reform. If Jews could work the soil, be permitted an ownership interest in the land, they would assimilate it was reasoned. In European country after country, elimination of historic legal anti-Semitism, slowly, seemingly, fell away. Human rights, social and political freedom advanced for all citizens. European Jewish emancipation became a superficial reality, a wishful delusion for Jews. Utopian Jewish emancipation through agriculture failed again and again. It failed not because the Jewish farmer did not work hard on the land. It failed because European anti-Semitism poisoned the very soil. "They (Polish governmental authorities and liberals re: Jewish agriculture) expressed misgiving that the strengthening of Jewish society might harm Christians." 5 Politically incorrect to be spoken of openly, anti-Semitism remained embedded in Western Europe culture. Anti-Semitism remained and expanded openly, blatantly in Eastern Europe, especially in Russia with governmental support. America was different. European state or Church sponsored or encouraged anti-Semitism never had time to take root in America. America was a dynamic caldron of change and challenge to meld the many different peoples who came with the demands and opportunity of the frontier spirit. Social and religious discrimination, though it did exist, did not have time, in the rapidly changing American world, to become deeply established. The radical experiment of American Democracy, championed by its founding fathers, was clearly outlined in its extraordinary documents  the Declaration of Independence and the U.S. Constitution. There was no room and no time for European style hate. Europe was different. Europe is different. Russia was different. Russia is different. European Jewish emancipation had moved with fits and starts. Each country reluctantly, never eagerly, removed its long standing institutionalized discrimination. France, a birthplace of the Enlightenment, was a noticeable example. Adolph Cremieux, a remarkable Jewish leader and French statesman, was born in Nimes (1796) into a wealthy Jewish household. He was a lifelong advocate of Jewish rights in France and outside. 6 Cremieux successfully argued (1827) in the French court system for the elimination of the last major legal discriminatory statute from Pre-Revolutionary France, the More Judaico. 7 The roots of the statue trace back to Byzantium and the anti-Semitic concept of the unreliability of Jewish truthfulness, veracity and honesty. 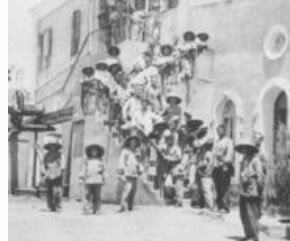 The More Judaico would endure in some European countries until the 20th century.8 May 1860, 17 other influential French Jews established the Alliance Israelite Univserselle in 1860. The Alliance was the first international Jewish advocacy and self help organization. Adolphe Crémieux. "Deeply upset by the recent conversion of his children to Catholicism at the behest of his wife; the lawyer from Nîmes, the true instigator of the Alliance's establishment, did not want to appear at the first meeting of those launching the project. However, he would later, in 1863, go on to become the President of the institution." Raising public awareness of anti-Semitism, building hospitals in Palestine, helping support Jewish agricultural efforts, saving Jewish lives are but a few of the Alliance Israelite Univserselle successes over its long 148 year history. The Alliance has been and is an extraordinary organization. 9 When Russian Czarist anti-Semitism became humanly intolerable, making millions of Jews refugees, the Alliance was the first to step forward with humanitarian aid. It was the Alliance that set up shelters, care, medical, food and support as the Jewish refugees sought somewhere that would permit them to live. It was the Alliance that set up shelters, care, medical, food and aide as the Jewish refugees sought somewhere that would permit them to live. The Alliance was the precursor and role model for the American Jewish aide movement, the Hebrew Emigrant Aide Society. HEAS, later renamed HIAS1), was formerly established in New York in 1881. Its original purpose was to humanely help the masses of Russian Jewish refugees arriving in New York’s Castle Garden and later Ellis Island.2 The Russians were fleeing monstrous state encouraged pogroms. They came to America seeking asylum and hope. On one hand the American Jewish humanitarian efforts, for their suffering brethren, was pure tzedakah; on the other hand it also was self interest. HEAS was created to help absorb the masses of foreign Jews coming in, quietly, quickly and efficiently. The dominant German Jewish societal elite wanted to disturb as little as possible the cordial and tolerance acceptance of them by the larger Christian community. At the core was a latent fear of re-igniting, in America, European anti-Semitism and losing the New Jerusalem.3 Absorption and Americanization of the immigrants was one aspect of the effort. A second effort, idealistic and utopian, for the most part unrealistic and unsuccessful, was the relocation of Jewish refugees away from overcrowded urban centers to America’s frontier interior – to become agriculturalists, farmers. A little later, 1883, the Montefiore Agricultural Society was formed under the able leadership of Michael Heilprin in New York. Michael Heilprin, a highly respected American academic of Polish background and a non-religious Jew, became the bridge between HEAS and the Russian Jews. Heilprin became the face and energy of HEAS. He was an idealist with a profound faith that Jewish emancipation and Jewish agriculturalism were intimately linked. "When the persecution of the Jews in Russia in 1881 sent a flood of refugees to America, Heilprin threw himself heart and soul into the work of relief”4. His efforts to help Russian Jewry only ended with his death when his health broke under the strain. One afternoon, Jacob Milstein, a twenty year old Russian Jewish immigrant from Brest Litovsk with a black patch over an eye he just lost in a New York industrial accident, walked into Heilprin's basement, cramped office on State Street in lower Manhattan. The American Jewish agricultural idealist's dream moved from theoretical to reality. Jacob Milstein left Brest Litovsk in 1878 for America. The Patriarch of the family, Saul Baer Milstein, his Uncle, had encouraged him to leave for America to seek land and opportunity for the rest of the family members. He had heard of the Homestead Act.14 Saul read the tea leaves plainly. The Milstein family had been ardent supporters of the failed Russian Jewish agricultural experiments. Saul Baer's younger brother Benjamin had been part of the Jewish agricultural colony of Ekaterinoslav. He returned defeated and dejected in 1871. Assimilation, acculturation, return to the land, an end to Jewish life as restricted commercial pariahs ended in bitter anti-Semitic failure. Jewish farms were confiscated and the land given to the recently liberated serfs. Jewish farm land ownership became a bitter memory even though some had farmed the land since the reforms of Czar Nicholas. The Russian Repressive Acts of 1874, 1875 and 1876 and the personal melodrama of Saul Baer's oldest daughter Nettie, Jacob's first cousin, scandalously falling in love with him were the final catalysts for his being sent to America. Jacob worked and saved and scraped enough to bring Nettie to America, to him, in spite of Saul Baer. The family would not be reconciled until Cotopaxi. Russian Jews yearned; they hungered for acceptance, toleration and equality. They dreamed of a time when being a Jew in Russia was not a question of life or death. By the millions the answer was the same, there was no hope in Russia for them. They did not fail, Russia did. Some sought Universalist answers to Jewish suffering and oppression. In later years some would become socialists, anarchists and Marxists rejecting Jewish identity entirely. That too would fail as the new communist government of the U.S.S.R. never let the Jew forget they were Jews. Their national identity cards always made the who they were plain to read. They were Jews. Agrarian mythology was as deeply ingrained in Russia as it was in America. If Russia would not permit Jews to be one with the land America would. Starting first as a student group in the 1870's, inspired by Russian Jewish idealists such as Moses Herder and Marya Bahal, the Am-Olam movement was born. Spreading rapidly throughout Southern Russian, concentrated heavily between Odessa and Kiev to the North the ideal of moving to America and being Jewish farmers took hold. Many Am-Olam adherents came to America but only a very small number actually became agriculturalists. The first group arrived in Palestine. July of 1882. They were fourteen ex-students from Kharkov. The same month, after an unsuccessful attempt to attend a Jewish farming school in Mikveh Israel, they joined Hovevei Zion pioneers in establishing Rishon LeZion ("First to Zion") as an agricultural cooperative on the purchased lands of the Arab village Eyun Kara. It lacked sufficient fresh water and within a few months, facing starvation, most of them left.15 The Bilu'im became the first Aliyah. July, 1882, the young idealists from Kharkov arrived in Palestine confronting their reality. The Jews of Cotopaxi had been struggling, clearing the land, with hope for the future, in the high country of Colorado since May. Almost as if by the hand of God, a benefactor had emerged from the unknown. The Russian Jewish refugees were pouring in. Resources, housing and social support were strained. Heilprin was desperate and an angel had appeared offering to help. Emanuel H. Saltiel was a Jew of Portuguese extraction. He had come to New York, prior to the recent Civil War, and made a large amount of money supplying the Union army. 1876, Saltiel moved to Colorado seeking and finding fortune in the mining opportunities deep in the Rocky Mountains. Using his influence and his money he grew to be a man of prominence and local importance. For all his importance, Saltiel’s real estate and mineral holdings lacked a fundamental requirement – labor and people; Both were in extremely short supply in 1881in Fremont County where most of Saltiel’s mines and land claims lay. Competitive mining strikes and easier physical access to the mines, land opportunities and higher wages sapped labor and settlers from his claims. Perhaps it was a cynical opportunistic awareness of the desperation of the landless Jewish immigrants and Saltiel's need for labor, perhaps it was a philanthropic effort, and perhaps it was an idealistic belief in Jewish agriculture that brought Saltiel to Heilprin. It is difficult to be clearly determined. A 21st century revisionist article in the Rocky Mountain Historical Society, written by a distant descendent of Saltiel's, refutes the earlier accusations that he knowingly misrepresented his intent and knowledge of the area to Heilprin to obtain cheap labor. 19 What is irrefutable was that Emanuel H. Saltiel had intimate knowledge of the terrain, the environment and the farming possibilities on the land he proposed to give to the Russian refugees to farm. He knew clearly that the lack of water, the high altitude, the isolation, the difficulty of getting to and from the communication centers, lack of roads and supplies would be major difficulties for the immigrants he proposed to take under his wing. Saltiel made his proposal. Heilprin, lacking knowledge of the area, sent a young lawyer from HEAS to investigate the possibilities of Colorado and Saltiel's offer, Julius Schwartz. Schwartz, if he ever went to Colorado, never issued a report back to HEAS. Some allege he became Saltiel's employee. It is also alleged he was deeply involved in deceiving HEAS and the Russian Jews of Cotopaxi. Again, it cannot be readily determined. The desperation of Jewish refugee overcrowding in New York and the opportunity of testing his theories and beliefs with a group of Russian Jews who had some capital and some background, though limited, in agriculture, convinced Heilprin to accept Saltiel's generous offer. Saltiel, in a series of letters to HEAS, had exaggerated and extolled the virtues of his recommended location in Colorado. He promised Heilprin that he would welcome and provide the refugees with 20 finely built sturdy homes, with kitchens and fireplaces. He would provide agricultural supplies, feed, animals, seed and aid. It was at this moment that Jacob Milstein arrived and met Michael Heilprin. The shiddach, the marriage, was arranged. The Milstein families and supporting community members arrived in New York, between 1881-1883. They wished to take advantage of the American Homestead Act as soon as possible and move to where the land opportunity was. They wished to become farmers. Heilperin agreed. HEAS allocated $10,000 for the project to be paid to Saltiel. The balance of funds needed coming from the Russian immigrants themselves and with additional help from Saltiel. The Jewish Russian refugees looking strange, bewildered, unable to speak English and communicate were suddenly transported by the modern wonder of the Iron Horse to Colorado. They arrived in Cotopaxi, May 8, 1882, seven months after Saltiel first made his representations and promises to Heilprin about the curiously named Wet Mountain Valley lands. To the locals witnessing the sight, the refugees were a very odd. They were clearly out of place. They were the attraction for derision and curiosity. Eventually, 63 Jewish souls would go to Cotopaxi. They represented 22 families. Saltiel's promises proved empty. Twelve houses were built, smaller and far less sturdy than would be demanded by the Colorado winter or what had been promised. Only a few had kitchen areas and even fewer even had stoves or windows. No fencing was up to demarcate or to keep roaming free range cattle out of potential cleared crop areas. Not one well had been dug. No water was regularly available. Oak Grove Valley Creek, a sharp v cut into the mountain side, ran almost straight up from the back of Saltiel's general store. It was generally passable because water only flowed during the rainy season then the creek bed was impassable. Ostensibly eight parcels of land on either side of the steeply ascending creek bed and twelve more 160 acre tracts at the 8,000 foot level of Saltiel land were the designated farm sites. The dry creek bed was the only access to Saltiel's general store, the rail head and supplies. The Arkansas River surged white and frothing year round miles away below the refugee farms. Yet the Jews accepted their new found homes. Dismay may have filled their hearts but hope, opportunity and freedom gripped their spirits. Struggling from the very first, clearing very rocky land, clearly unsuited for traditional farming, the Jews went to work.21 Early reports sent back by Julius Schwartz, who had accompanied the Cotopaxi Colonists, painted a false glowing picture of success and harmony. Fortunately for the Colonists, the Wet Mountain Valley area was populated with German immigrant neighbors who proved very helpful. They lent support, equipment, animals when needed and helped with food. Most crucial to the Colonists they could communicate with the Germans through Yiddish. The Colonists arriving very late in the short four month growing season of the Colorado high country planted corn and potatoes. The corn crop failed. The potato crop failed as well due to an early frost. The first winter meant starvation if Saltiel's partner, Mr. Hart, had not extended credit at the general store.22 With no money and reserves some of the men went to work in Saltiel's mines as raw, inexperienced labor. They were paid in script credit to be used against the debts piling up at the store. With the expectation that the HEAS would continue to cover the refugee indebtedness Saltiel continued to advanced credit. When it became apparent that the HEAS had no funds to cover the Colony, Saltiel cut back sharply on the credit. His wards had become his burdens. Many of the men chose not to work in Saltiel's mines but found better paying jobs working on the railroad. During the first summer, fall and winter three babies died. David Korpitsky's young son died from blood poisoning after having stepped on a rusty nail while walking barefooted. The children were buried in unmarked graves on Saltiel property just across the river near the rail road. A small wooden fence was erected to mark the area were they rested.23 The area became Cotopaxi's cemetery. Though not very orthodox the Cotopaxi Colonists felt a need to connect to their Jewish heritage and religious practices. The first request to HEAS was for a Torah. The Torah was sent immediately. June 23, 1882, the Jews dedicated a small structure, reportedly near the town, as their synagogue. The first summer two weddings were officiated over by the David Korpitsky, who served as the community's rabbi. Max Shuteran and Hannah Milstein were married first. Second to get married, and be religiously sanctioned in the eyes of even most of the orthodox adherents, were Jacob Milstein and his cousin Nettie. The first winter was very bitter and cold. The Jews persevered despite encounters with wandering starving Ute Indians and roaming hungry mountain bears. That spring they celebrated Passover with specially selected and procured flour that they baked into Matzoth. A second crop was attempted in 1883. It too failed. Appeals to Saltiel for help brought no further aid. The Jews appealed to the Denver Jewish community for help. The Denver Jewish community did what they could. Slowly the Cotopaxi Colonists lost heart. Some departed. Others endured a second winter with dismal results. Michael Heilprin's health had failed in 1883. The HEAS could not provide further aid and confronting Saltiel or taking him to court with accusations of wrong doing were appreciated as dead ends. The straw that finally broke the camel's back was when the Colonists learned that the land they were trying to settle on had not been registered with the government under the Homestead Act. They had no title or legal right to remain if Saltiel did not wish them to. A mutually agreed settlement with the Colonists and Saltiel canceling the outstanding debts to the general store ended the experiment. The story of the Cotopaxi Jewish Agricultural Colony ended in 1884. "Of the twenty-two families who lived through the bitter but edifying experience at Cotopaxi, only two failed to remain in the West. These were Samuel Shradsky, and Sholem Shradsky, his eldest son, both widowers. The elder Shradsky was a very old man and wanted to return to Europe to be buried alongside of his long-dead wife. His son accompanied him and died there before he could return to the United States. The rest used their hard-won knowledge to try farming on better lands in the West. Saul Baer Milstein had come to Denver in 1883 with his wife Miriam and the seven younger children. He went into the cattle business with two partners. As soon as he was able, he bought grazing lands near Denver and by the time his younger sons were grown, had built a stock-yard and packing house. His brother Benjamin Zalman Milstein bought a farm near Derby, Colorado. His youngest brother, Isaac Leib Shames, took his wife to Salt Lake City, where they lived for many years before moving back to Colorado. Shames's son Michael moved to Denver and joined his uncle in the cattle business and also bought a farm near Westminister, Colorado. Shames's daughter Hannah married Philip Quiat and another daughter, Rachel, married Henry Singer. His eldest daughter, Yente, had been but a young bride when she and her husband, Joseph Washer, came as colonists to Cotopaxi. They had no children. Mr. Washer died soon after leaving Cotopaxi. His widow remarried Moses Altman of Denver. Saul Baer Milstein's eldest daughter Nettie, whose marriage to her first cousin Jacob had been so bitterly opposed by her father, eventually won his forgiveness. She and her husband were the most enthusiastic and successful of all the new farmers. Their first homestead was some four miles northeast of the city of Longmont in Boulder County. They later moved to a larger farm near Broomfield, which latter productive acreage they sold in 1935, for $18,000 to the Savery Savory Mushroom Company. Jacob Milstein, Saul Baer's eldest son, later moved to Seattle, Washington. Both he and his cousin and brother-in-law, Jacob Millstein, had been Colorado Volunteers during an Indian disturbance in 1887. The Prezants, the Shuterans, David Korpitsky and his daughters, and the Toplitskys moved to Denver, where they entered various fields of business and soon prospered. Several of the men served on the Denver Police Force and Fire Department. For some years the Tobias family lived in Cheyenne, Wyoming, where they ran a hardware store. The Schneider family, including the sons-in-law Morris and Newman, moved to a farm near Omaha, Nebraska, and the Needleman and Moscowitz families homesteaded in South Dakota. The younger Shradskys moved to California from Cotopaxi. Everything Satt observed is quite true except for one important fact. The Jewish Colonists went to the American frontier went with the hope that the lands they cultivated would become the New Jerusalem, a safe haven for the Jews as well as a home for themselves. The Bilu'im, and most of the early Jewish agricultural pioneers of Palestine, faced identical problems. The difference was that the Bilu'im did not have to dream or hope that the land they redeemed would become the New Jerusalem. They were, in fact, redeeming the land of Israel and Jerusalem itself. The failed American agricultural Colonists, and there were many of them between 1880 and 1900 in states ranging from Virginia to Oregon, knew they could move from the land. A particular piece of failed farm land meant nothing to them but sweat and disappointment. Life in the New World, in America, was what was important to them. 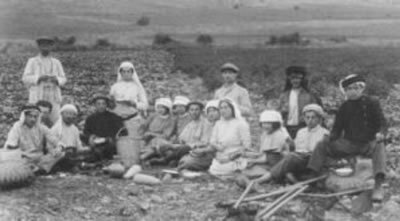 The agricultural pioneers of Israel, many did fail under terrible trying circumstances, knew they were leaving their land. They could not depart Eretz Israel without pain, remorse and utter defeat. The ones who did endure, and enough of them did endure, made great sacrifices. They understood they were reclaiming, rebuilding the land that God had given Israel for all of Jewry's future and for children unborn. They could not leave the land. Ultimately it was the spiritual connection to the land that made the difference between the success of modern Israel and the failures of Cotopaxi and other American Jewish Agricultural Colonies. "My heart is in the east and I am in the distant west-how can I taste what I eat and how can it be sweet? How can I fulfill by vows and oaths as long as Zion is in the chains of Edom and I am in the binds of the Arabs?" 7 The Oath More Judaico or Jewish Oath was a special form of oath, accompanied by certain ceremonies and often intentionally humiliating or dangerous, that Jews were required to take in European courts of law until the 20th century. More Judaico is Latin for "on/by the Jewish custom." The question of the trustworthiness of the Jewish oath was intimately connected with the meaning that Christian authorities assigned to the Kol Nidre prayer, recited by Jews on Yom Kippur, and the whole of the legislation regarding the oath was characteristic of the attitude of medieval states toward their Jewish subjects. The identification of Church and State seemed to render it necessary to have a different formula for those outside the state church. 8 American legal questions over the veracity and equality of testimony between Whites, Blacks, Native Americans and other minority groups were legally settled with amendments to the Constitution following the American Civil War of 1861-1865. Practical and cultural acceptance of equality in court testimony was not largely settled until the late 20th century. 12 They did not fully trust in America's magnificent experiment  Constitutional Democracy. A long Jewish history and a longer Jewish memory of life as a minority in Christian or Moslem countries was a permanent fixture in their minds. 20 An earlier ill fated effort of Am- Olam supporters from Russia, on Scily Island, Louisiana, ended in disaster a year earlier. Led by the idealist Herman Rosenthal, many of the colonists died from malaria and then watched their efforts wash away in the great floods of 1881. The second major effort of HEAS was Vineland, N.J. Mistakenly, many sources attribute the Vineland, or the Alliance Colony  named for the Alliance Universalle, as founded by the later Baron de Hirsch agricultural efforts of the 1890's. The original Alliance members were sent by HEAS. They were generally unsuccessful. In the early 1890's, with heavy financial support from de Hirsch, new immigrants arrived supplementing the modest failing earlier HEAS efforts. The revitalized Alliance Jewish Agricultural Colony became the longest surviving and most successful in the American experience. The Alliance Colony, like many small community farm efforts, has since ended. With the end of World War II and the community's extremely strong focus on education, opportunities on the land became more limited and less opportune than the city. The young people mostly chose to move to the urban environment and not the land. 21 August, 2008 I visited the Cotopaxi Colony site. Nancy Oswald, the present owner of the land upon which much of the Cotopaxi Colonists struggled, commented "Saltiel had to know the land was not suitable for farming. It is just too rocky." All that remains of the Colony are some pieces of board and dug out areas on Oswald's land. 22 Credit was not extended out of mercy but because Saltiel and Hart had reasonable expectation of being repaid by HEAS. They did not know that HEAS had no funds. a local Cotopaxi resident cleared the overgrown grasses and marked out the site of three graves with brightly colored stones from one of Saltiel's nearby mines. A metallic marker in the ground reads simply Russian Jew graves. Nelson, with much human dignity and consideration created and arranged the Star of David in the middle.